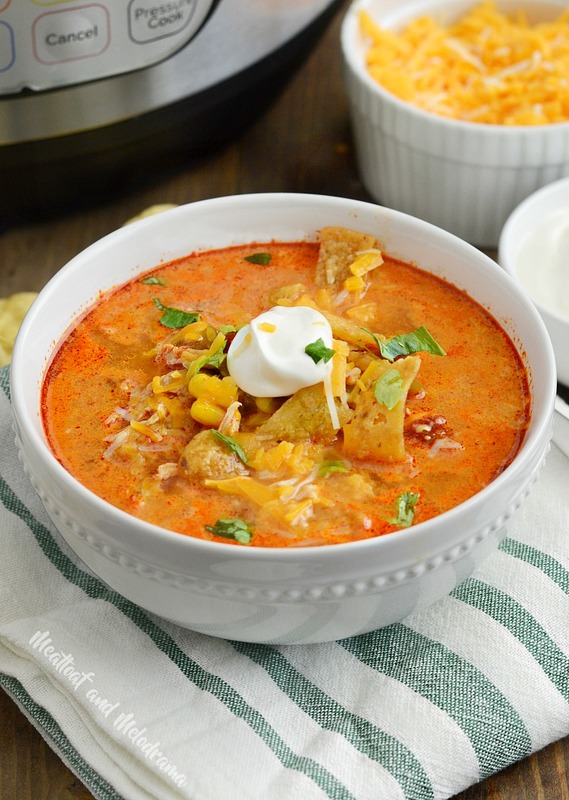 Instant Pot Chicken Enchilada Soup is quick and easy to make in the pressure cooker. It’s loaded with chicken, corn, green chiles and diced tomatoes in a light creamy red enchilada sauce and perfect when you’re craving a chicken soup recipe with extra spice! If you’re looking for a kicked-up version of your usual chicken soup recipe, you need to check out this uber flavorful chicken enchilada soup. It’s like a big bowl of chicken enchiladas that you can drink right up. Best of all, it’s super easy to make! I absolutely love making soup in the Instant Pot! 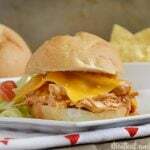 You just throw everything in the pressure cooker, and in a few minutes, dinner is ready! I usually make a big old pot of chicken soup at least once a week. We have it for dinner one night, and I get to eat the leftover soup for lunch during the week. It’s definitely a win win situation! Even though I love eating soup, not everyone in the family does. So I decided to change up the usual chicken soup and make some hearty chicken enchilada soup, instead. 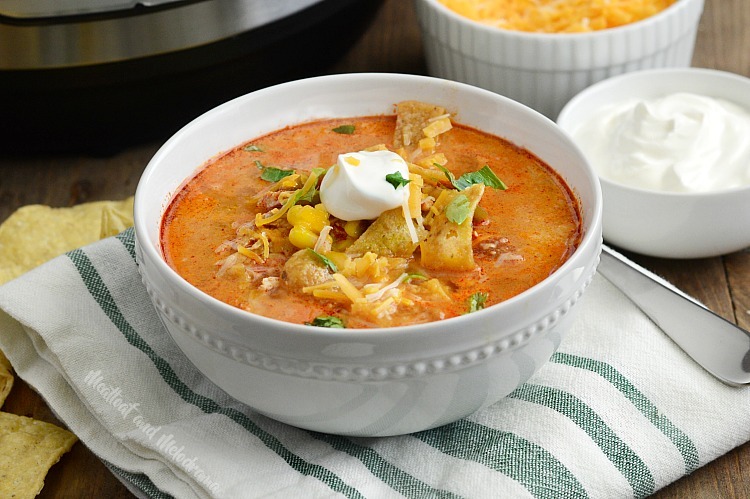 My family is crazy about enchiladas, so they had no complaints about this soup! I actually made enchilada soup in the pressure cooker a few times before I found a version that pleased our entire crew. I tried a plain version, which was kind of boring, and I tried adding a can of RoTel, which ended up being too spicy for some people. The third time, was definitely a charm! 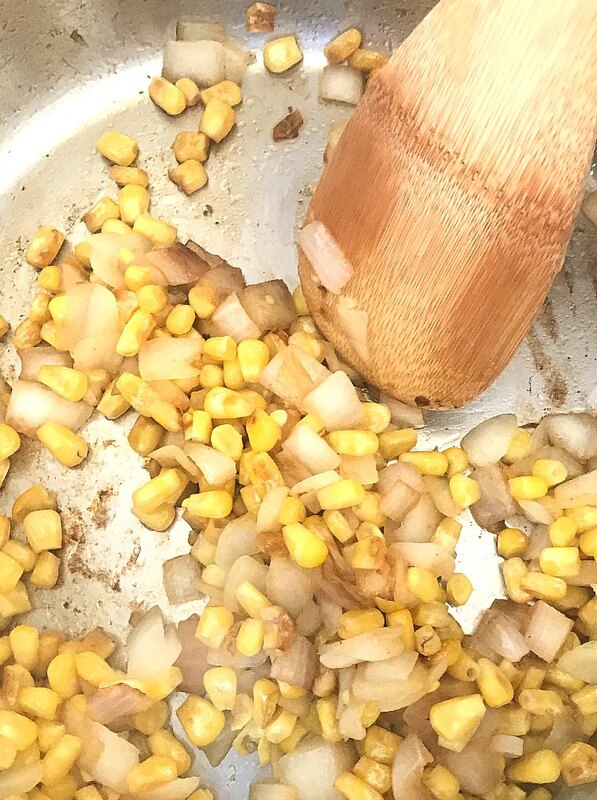 You could definitely throw everything in the Instant Pot and call it a day, but I think pan roasting the onions and corn really adds a ton of extra flavor. Just be sure to deglaze the pot before adding the chicken. Otherwise, you’ll get the dreaded burn notice! Just add a little broth to the pot after browning the corn. Then, scrape up all the brown bits with a spoon. Next, add the remaining ingredients, and you’re good to go. Just pop the lid on, wait for the Instant Pot to come to pressure, and let it work it’s magic. The soup takes only 10 minutes to cook, and I like to do a slow release for 5 minutes before opening the valve all the way. When the pin drops, just remove the chicken, shred it, and add it back to the soup. You could stop here, but I add a little heavy cream to further tone down the heat from the enchilada sauce. 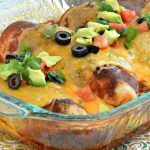 It makes the enchilada soup rich and creamy, and perfect! 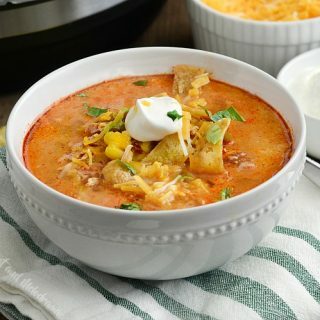 Serve this tasty Instant Pot chicken enchilada soup with shredded cheese, corn chips and a little sour cream, and you’ve got enchiladas in a bowl. So good! You can also add avocado slices or guacamole — yum! Looking for More Chicken Soup Recipes? Instant Pot Chicken Enchilada Soup made in the pressure cooker and loaded with chicken, corn, green chiles and diced tomatoes is an easy dinner that's perfect when you want a chicken soup recipe with extra flavor and spice! Recipe was made in an 8-quart Instant Pot pressure cooker. Recipe cooks in 10 minutes at high pressure with 5 minutes for natural release. Time for pot to reach pressure and finish releasing pressure may vary according to your own Instant Pot. 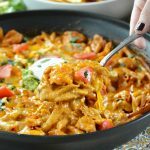 My family loves this easy Instant Pot Chicken Enchilada Soup. My picky soup-hating middle child even had a second helping! I hope you enjoy it as much as we do! I am putting this on my MUST try list. 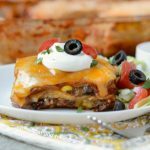 I am loving all things Instant Pot and Taco Soup of any kind is my favorite! I have some homemade enchilada sauce that will work perfectly. I will be going back for seconds on this one for sure! I will be making this real soon!! It looks and sounds incredible!! This soup is a staple at our house- YUM! One of my favorite soups, especially this time of year!! Love the spicy kick in this soup! So easy to make in the IP! Mmm! This sounds really good – you must have gotten it right! I think I would love your version with Rotel! 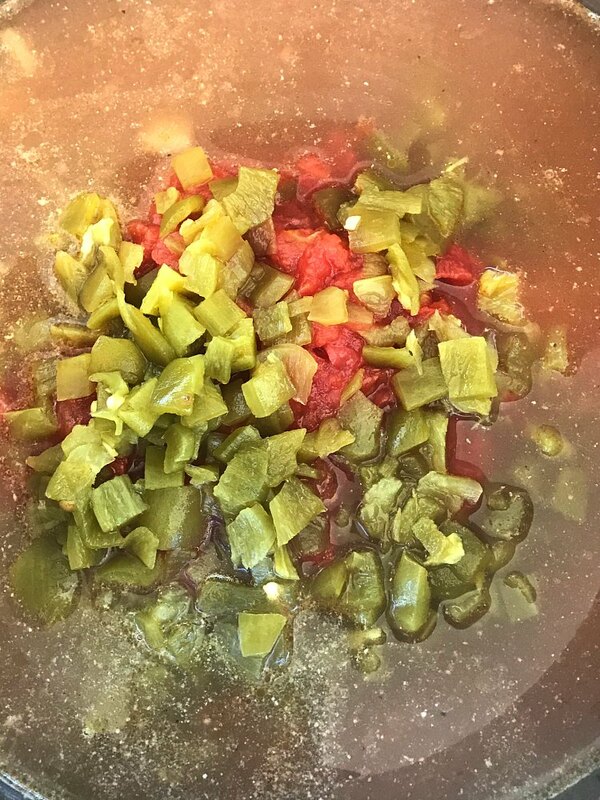 Your Instant Pot Chicken Enchilada Soup looks delicious and thanks so much for sharing with us at Full Plate Thursday. This was great! We didn’t even have heavy cream so I mixed in some whipping cream!! I’m glad you liked it, Anne! This soup is so easy and delicious. This is the second time to make it. Making it for an adult birthday party so I doubled it. I have an eight quart and it was about an inch under max fill line. Just turned it on so I’ll let you know how the double came out. It worked for me. Some may want a bit more seasoning. But it is good for us as we like it mild.